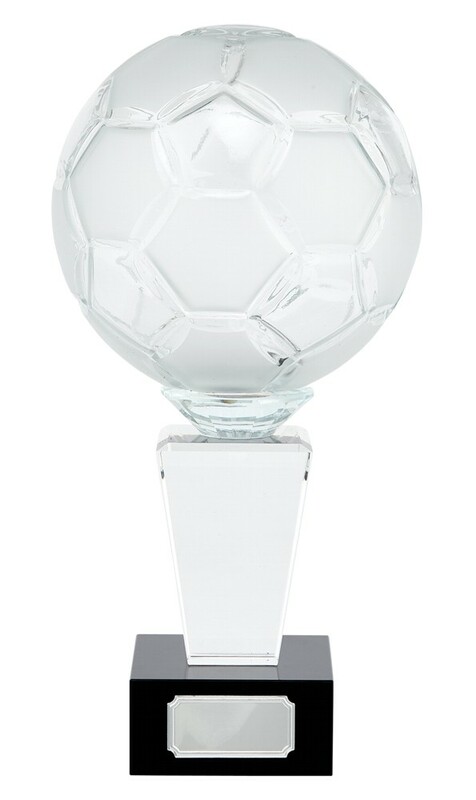 Ultimate 3D Crystal Football Globe Trophies. Available in 2 sizes, 290mm and 390mm high in a presentation box. A solid crystal award on a black base. This is a truly exceptional award made from Premium Crystal.